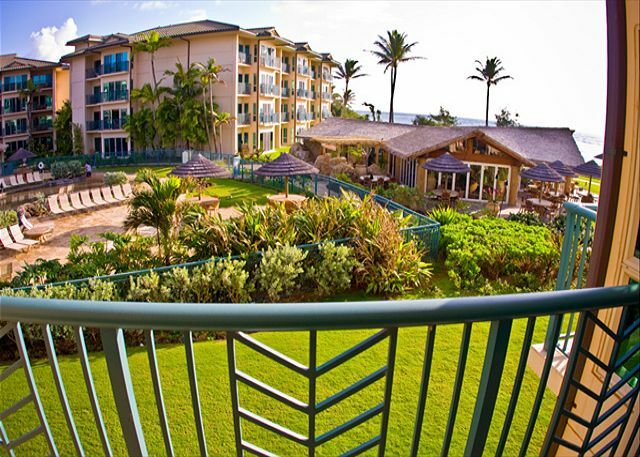 One of Waipouli Beach Resort’s most incredible corner suites, this second-story oceanfront location provides sprawling sea views by day complimented by the torch-lit paradise pool by night. This rental was SO perfect for our family of 4. It was spacious, clean and had everything we could have thought of needing. Having laundry in the unit was super helpful with kids. 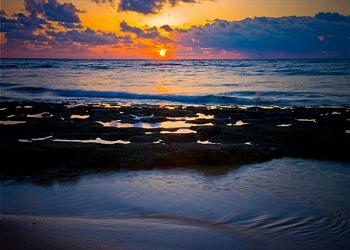 Every morning we watched beautiful sunrises from our lanai and enjoyed a glass of wine in the evenings. The location was centrally located so we felt like we could see all parts of the island easily. The pool was fabulous, wonderful exploring beach to walk on and enjoy. It was a perfect week and we could not recommend it more! From beginning to end, they answered questions quickly. They also had a concierge that would answer any questions about activities on the island (prices were not cheaper than booking ourselves, but they were very helpful). Well designed condo with great views! Thoroughly enjoyed our stay. Beautiful condo and resort. We would definitely return. This is our second tine in the last two years renting at Waipouli Beach Resort. We stayed with another couple and every morning we enjoyed coffee on the lanai watching the sunrise. Condo was clean and well equipped. I also rented H206, for my son and his wife and two grandkids. The pool is family friendly and the grandkids loved the waterslides. I highly recommend this condo if you're bringing the family. The only complaint is the traffic light getting out (turning left) is sooooo long. we had a most enjoyable time on our was too short! the room was wonderful minus a couple of issues... the bathroom shower leaked all over the floor. and the bathroom door handle came off.. but besides that... it was stocked well and was wonderful! Such a perfect location in Kauai, so many things to do which worked out great with our group of 5 since there was something for everyone. Loved the scenery on our Blue Hawaiian helicopter tour, Na Pali Adventure on the zodiak, and ATVing at Kipu Ranch! Adult kids did some amazing hiking, not for me! All of it was Top notch. Hanging around the condo was equally as awesome...renting bikes from the spa for the bike path was Priceless...easy ride to several beaches, food trucks, monk seals, gorgeous scenery! good exercise too. Only downside was the leaky shower in king suite (not sure why they don't fix it, saw review b4 we came that mentioned it and assumed it would have been fixed by now. We simply dried the rugs/bath mats to keep up). I Hate long reviews, so will keep this short. This is a really nice place. Everything was perfect, clean, things worked. The situation of the room is really perfect and you get a great view of Ocean and pool with a little block from wind when there is some. I definitely recommend this place. Not one bad thing to say, it was really a perfect place to stay. I was very happy with the resort, the location of the condo, the amenities, the location of the resort and the convenience to the businesses in the area. The cost was more than justifiable. What I am about to say should not be heard as reasons not to stay here in this room. First, I would strongly recommend that the owner replace the sofa in the living room as it definitely sagged so that when you sit you feel like you are in a hole. Second, Unless you just want to eat while at the resort and over pay for the food and deal with the arrogance of the wait staff, I would not recommend the restaurant on property. There are, however, numerous restaurants in the immediate area to more than satisfy your appetite and your budget. 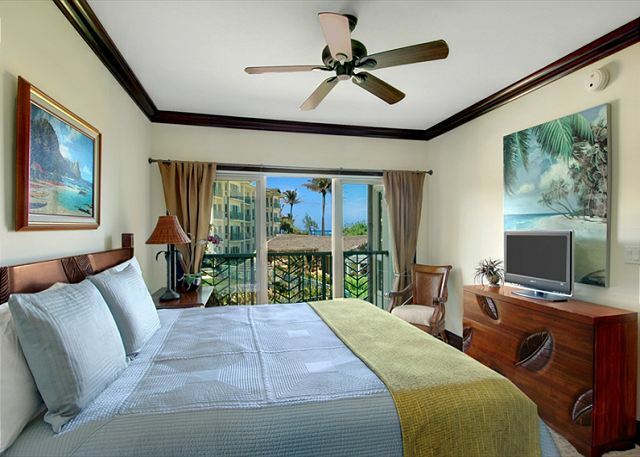 Lastly, after staying here we went to Kona, Hawaii to another 2 bedroom condo. I wish we could have brought this unit with us even with the comments mentioned earlier. To summarize, I would recommend this condo, this resort and this location. Our stay was amazing. The condo was perfect for our family of 4. Kitchen had pretty much everything we needed. The view and location of this condo was perfect for us. I was worried about the restaurant and bar being right there but no noise from there at all. Kapa is a perfect little town to stay in as it has everything you need and you are only a half hour 45min from either end of the island. Made our outings easy! The property is spotless right down to the bbq’s. They clean them daily and it shows. The only thing this resort could use is about 4 more bbqs as they were very popular and usually a line to use them. Pool And grounds are very well maintained. Beautiful resort! Very nice and comfortable condo. Large kitchen (with high-end appliances) was well-equipped with everything from pots to a dish-drainer to a vase. The management company was very responsive. Very close to a grocery store and other useful shops and restaurants. The restaurant on the property was just lovely. We very much enjoyed our stay at H202. This unit is beautifully decorated and is the perfect set up for two couples. It provides the needed privacy with the convenience of staying together. We had a wonderful stay at Waipouli resort. The apartment is spacious, clean and located right in the middle of the south and north attractions. The view from the balcony is amazing!!! 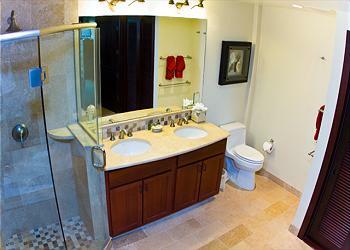 !The resort is beautiful with well-maintained pools and jacuzzis. The beach is pretty but sadly not useable due to strong currents. The complex is located close to the main grocery shops which is very useful. The management company was very responsive. During our stay there was a strong storm and the AC unit stopped working. They answered within minutes and made sure to fix the problem promptly. My only critic is that the apartment is expensive but it really offers a great stay. The property was clean, well maintained, beautifully decorated. Kitchen appliances A+. Very good location on the island. Definitely recommend. 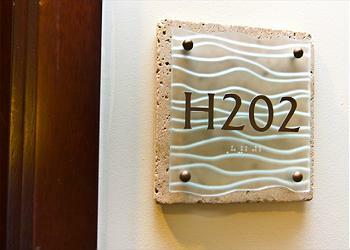 H202 at Waipouli Beach Resort-Awesome! Condo was more than we expected. Beach view in both lanais, rooms and bathrooms were larger than the pictures showed and the extra snorkel gear, boogie board and beach items were appreciated. Waipouli H202 is heaven. We had an amazing time, and would (will!) absolutely come back. The folks from Kauai Exclusive made everything so easy, and were always a phone call or text away when we had a question or needed anything. We also had a great time at Oasis. Brian, Julia, Gail, and Jeff made us feel so at home -- like new friends instead of paying guests. The property is centrally located just outside Kapaa town, and there's a complex with a Safeway and an ABC store across the street. Warning: it's a very long stoplight. But that's truly one of the only drawbacks. We'll see you again, H202! East area of the island was convenient but not as nice as the northern Princeville area. Great location for this unit in the complex. It's 2nd floor so no security issues. View of the ocean from LR and MBR. Pool views from the guest BR. Only 2 of use so we stayed in the guest BR because we like the king bed. The place was well decorated and supplies were adequate (except for sugar for coffee). Only negative to mention was the couch. It looks nice but is pretty tired now (cushions are too soft now and sinks in too much). Oh, the main shower still leaves lots of water on the floor as others have mentioned. Otherwise, everything was pretty nice. Management company and concierge were great. Complex staff was nice. We enjoyed the hot tubs and pool area more than we expected. We didn't try the restaurant. We had a great trip, weather wasn't the best but we made it work. It couldn't have been more perfect. From the friendliness of the staff, to the personal concierge, to the happy hour and amazing restaurant steps away, which is also steps away from the beach and when it's not a perfect 75 out you have the heated pool, water slide and sand bottom jacuzzi! Ughhh can I go back! 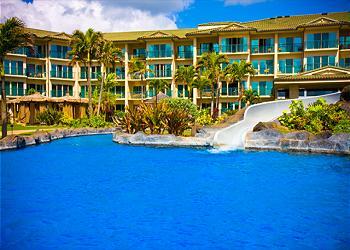 My family greatly enjoyed our stay at Waipouli Beach Resort in unit H202. We had a daily sunrise view from our unit that many others in the resort had to walk to see. At night, sleeping with the sliding glass open and screen in place was perfect. The sound of the ocean waves at night were the perfect soundtrack for sleep. The central location of the resort on the island made travel easy. I highly recommend this unit! Can you say PERFECT?? We have stayed on this property many times and we have NEVER been disappointed ! Our view was amazing. From the moment we walked through the front door, we felt like we were home. Our room was spotless and the entire property was very well maintained. Josh went above and beyond to make our stay magical. We were staying at a hotel next door and so disappointed. We called Josh on the evening of Monday and within a few minutes he had a room for us on the gorgeous property. He went out of his way to drive to where we were staying and he personally picked up our luggage and us and drove us to Waipouli Beach Resort. We think he is one of the nicest and kindest people we have ever met. We were celebrating our 25th wedding anniversary and our three days on this property made our celebration more than wonderful. Thank you, Josh, for everything you did to make our stay complete. The restaurant on property, Oasis, offered delightful meals and the servers were all so friendly. We will come back here again and again. We were blown away (initially) by the room when we walked in! Great views! The room was clean and well kept. It was just my wife and I staying there so it was a pretty big place for just the 2 of us. Will bring the kids with us next time! -WiFi wasn't as fast as we were expecting, but manageable. -The showers need some attention. Don't get me wrong, they are clean and definitely nice! But, the one leaks a lot of water onto the floor outside and SOAKS the floor mat or whatever you may have sitting there. And the other one the shower door seal is coming off, which will eventually cause a leak. My wife got on my case about the floor being wet outside the shower after showering after a night of drinking. I guess she thought I left the door open and showered? But then after HER shower the next day it happened again, and I said "see, told you, it wasn't me!" Very well stocked room, nice appliances and furniture. Would definitely stay in this room again! This unit is prime location. wonderful views and the unit was very clean. The space was great for hosting our neighbours for cocktails and the kitchen was well equipped. Sherri booked us into our condo after our first booking site was terrible (not managed by Kauai Exclusive). If you look at the picture, our unit was the floor below. We spent 13 days looking at this view, enjoying the lanai, and listening to the waves each night. We had some very relaxing times just reading & eating on the lanai. We are seniors, but still enjoyed the pool and enjoyed the sounds of children laughing and playing in the pool. The jacuzzi below closed at 10:00 p.m so the area was quiet after that. There is visible security on the site. We had small issues (i.e. with lamps and remote controls). We could call the management 24/7. Our units (we had to move the last 3 nights to the unit below) were generally well equipped. We advised staff of a few shortages. I can't emphasize enough how helpful ALL the management company people were. They tried to accommodate us in any way they could. The concierge booked us into a wonderful family luau. If you want reservations at the restaurant on site, I would book them yourself. It saves confusion if you need to change them. The Beachhouse restaurant at Poipu is excellent and the Hukilani (sp?) Restaurant nearby is also very good. We would definitely return. Condo was beautiful, well equipped, comfortable, felt like home. CUT wait to go back! We had an incredible time! We have stayed in H202 before and love the sounds and view. We had our good friends join us here. This was their first visit to Kauai and they had a wonderful time and loved this unit. We hope to return next year and may return in October as the weather was incredible. Thanks to the Waipouli staff as they responded to any questions we had. Mahalo! great place to stay with a beautiful view. Only bummer was the pool, no floats, no toys, no nothing except swim. Kids were disappointed. Places we have stayed that have a lazy river lets you take a floaty thru the river. Overall very pleased with our stay! We rented H202 and H204 for my eight members of the family! H202 had a couple issues: master bath sink cold water faucet did not work and they were unable to repair; the lamp switch was broken and the clothes washer handle was broken off! Otherwise, the unit was well equipped and comfortable! A couple suggestions for improvement.....more light in the living room (maybe a light in the ceiling fan) and the bedroom window coverings need upgrading (the bedroom window covering was missing a screw and falling off the rail, so I "repaired" it with a screw I found in the closet!). Nice place and very convenient! Our family of four (two kids 13 and 10) absolutely loved this rental for the week we stayed. It's exactly like all the photos and the ocean breeze adds even more. Great location - centrally located on the island (although we did do a lot of driving with all the activities - 600 miles in 6 days!!!). We had every breakfast in the condo and even cooked one night (fish we caught on a deep sea fishing trip!) Fully stocked kitchen - everything you need. And the quality of the furnishings is high level (heavy doors, Wolf range, sub-zero frig, etc.). However, be careful on the corners of the beds - they jut out passed the mattress (hit our chins a couple times - ouch!) The resort was nice - very laid back when we were there - and the pool/hot tubs and the Oasis restaurant were the highlights. You can check out beach towels by the pool and it was nice not to have a key to anything (it's all done by codes, including condo). We also washed clothes every night, so that was convenient to have in the condo). The beach isn't much - as others have said - and we never swam in the ocean there. But there are obviously tons of other beaches on the island (Tunnels Beach for snorkeling being our favorite). You can walk to the grocery store (we favored Safeway over Foodland - both are across the street next to a Starbucks!) and snorkel rental is just down the street (Bob's). We took a helicopter ride (Blue Hawaiian - the best! ); a snorkel cruise around Napali (would definitely recommend Napali Experience - smaller boats got in the caves, and it was the highlight of our trip); zipline (Koloa Zipline was great!) and deep sea fishing (Lehale fit the bill perfectly). We would definitely recommend this condo - wish we were still there! Our adult daughter and we really enjoyed our location and the property overall. It is confusing, and in our case a bit disappointing, that the King bed is in the guest room and the Queen in the master suite. Our daughter got the benefit of the larger deck. We did have some maintenance issues that took several attempts to get resolved, and some will require more work (washer door) and leaking shower door, but the staff attempted to respond quickly and completely. GREAT location and the pool and restaurant were good and accessible. This was an amazing place, with beach and ocean views. We found the place well-stocked, comfortable, and beautiful. First vacation in Kauai A dream! 2nd time we've stayed here. Great location, beautiful condos, very very happy. We did have smokers below us for one day - smoking outside. Never reported since they were gone the next day. Exactly as advertised. Had a 2 bed 3 bath unit on 2nd floor. Clean, well appointed. Kitchen was great, had everything we needed. Stove top was bit tricky but worked great. Laundry in was a great bonus as well. Best of all, no one ever bothered us. It was like we owned the unit for 2 weeks. Kapaa is a great location. You need a car to see all of Kauai, but that is true anywhere. Once Christmas hits, it is very kid centric. Before Christmas it was quite relaxing. Lot's of kids isn't a bad thing, just be prepared. If you have have kids 16 and under, you won't have to worry. Safe and clean and they can be entertained on property for quite a while. We would do it again! 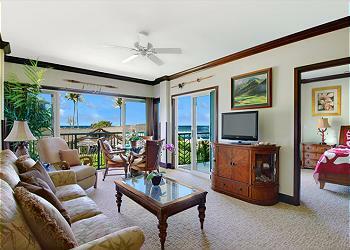 This Waipouli condo was spectacular! We have stayed at Waipouli six other times since opening (2005?) and this was by far the one with the best ocean view -sounds, sites, even the aroma of 'ocean spray!' Just wish you had one so close in a one bedroom. This was an 'unusual' trip for us. We come annually from AK, but had my 83 yr old mom and sister come from the mainland this time. Would also like to thank you for the 'prompt' response to the couple of problems we encountered. Shawn was great bringing us a new coffee maker and getting the door to the 'too tight' frig door. And there was one other thing, but I can't remember so you must have fixed it! Anyway, it was nice to be 'taken care of.' We also appreciated both the Hawaiian and Alaska native artwork in this condo. Everywhere you looked it was something to really 'take in' and enjoy. As 20-year Alaskans, we could tell the owners were, too. The best part of the condo were the mattresses - some owners are not replacing even after 10 years and yours were not uncomfortable and lumpy like the last one we were in. Mucho Mahalo! This is the 2nd time we've stayed in this same unit. We specifically asked for this unit because it's a great location, has very high quality finishes and furnishings, is well stocked, and well maintained. And the whole staff at Kauai Exclusive Management does a great job making sure all the details are taken care of so that our only worry was to enjoy our vacation. We could not have been happier. The Condo was very clean, with modern appliances. We will definitely consider staying here on our next trip to Kauai! We always rent a house in Hanalei when visiting Kauai...this was the first condo rental. We were skeptical, at best. What a wonderful surprise to enter the immaculate, and newly renovated unit that we would call home for the week. It had everything that we could ask for. Very little in the way of household goods needed to be purchased at the store. TP, Paper towels, soaps, laundry soaps, etc. were all provided. 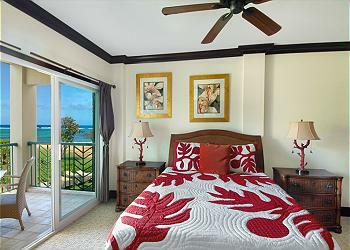 The decor was a fun Hawaiiana, the bed was extremely comfortable, as were the pillows and all of the linens. Someone has done their homework here and made this a very well stocked vacation rental. The drive to our beloved Hanalei was not too long, and we were able to enjoy the countryside while making the daily drives. The grounds of this complex are gorgeous and extremely well cared for. The beach front is beautiful....the Oasis restaurant offers decent meals at affordable prices. A good full stocked bar also. The condo was just perfect. Everything was provided and the furnishings were beautiful and very comfy. The view was breath taking and hearing the sound of waves at bed time was heavenly. There was a small cooler, beach chairs which we added to, snorkel gear and anything you would need for a day at the beach. 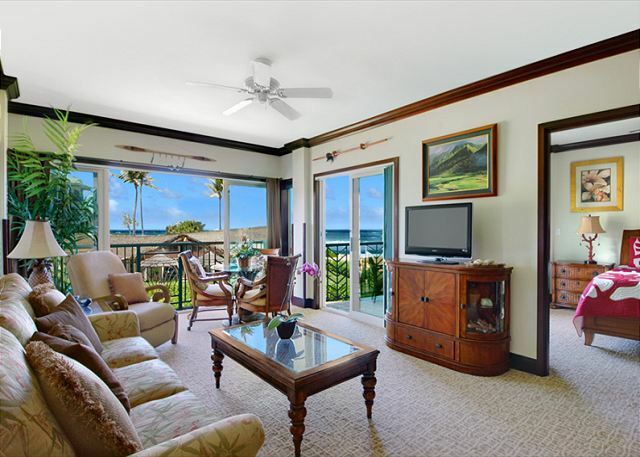 The management was excellent from beginning, mahalo Josh and I would recommend this condo to any one. The pool area was so fun, slides 3 spas, and the best MaiTi's on the island. Aloha and mahalo for a wonderful vacation. Will return again. H202 was just a perfect place to stay - right at the beach and the pool, close to the grill and the towel desk - very convenient. The place was marvelous, huge bathrooms, well stocked kitchen... it was just perfect for a family. Great room and resort. Going back for sure! We had a wonderful stay in H202 for 10 beautiful days ! Hope go back next year !! Clean well decorated.When making enquiry for booking ascertain size of bed. The second bedroom had a double size or perhaps a small queen. Many units I am told have Kings in both bedrooms. Ice maker did not work but was to be serviced once we checked out. Wonderful location; outstanding accommodations in every respect. Highly recommend Waipouli Beach Resort. We planned our trip in two months and Kauai Exclusive Management scheduled our condo stay at Waipouli Resort without a glitch. They provided excellent service, were available 24/7 and treated us with great consideration leading up to our trip and during our stay. The condo was better than the photos; it was super clean, decorated beautifully, had beautiful views and the furniture was incredible. The resort was terrific and the amenities in the condo were excellent. 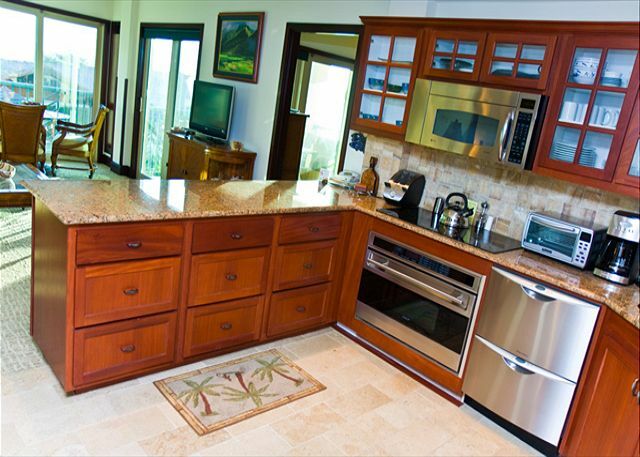 So inspired were we that upon returning home we moved up our kitchen remodeling date and plan on returning to Kauai next October through Kauai Exclusive Management utilizing the same unit, H202. We are a family of 5 adults and we are all returning having had a fantastic visit. I would and have recommended this management company and this resort. I was as pleased a PUNCH!!!!!!!!!!! (1)The resort is beautiful. They put a ton of resources/manpower into the grounds, and it shows. (2)Layout of the pool is dreamy. Such a great place to spend lazy days swimming/sunning/reading/visiting. (3)Can’t pick a more central location from which to explore the whole island, and the convenience of being across the street from a major shopping complex is huge. (4)We had a great unit with a nice view of the beach/ocean, Oasis (good people watching including two weddings), and some of the pool area from the lanai. We ate all our stay-in meals out there, except during rain. Also, great kitchen fully stocked with appliances/utensils/cookware, and good washer/dryer. (5)Friendly and helpful staff in general. (1)Cleanliness upon arrival was so-so. Fridge/freezer should’ve been cleaner, and we found peanuts under one bed and candy wrappers and a soiled toddler outfit (!) behind the other. (2)Pool staff can be a bit militant about kids’ toys in the pool area. (3)The phones in our unit were very spotty – never were all of them working at the same time. Also, the seal under one of the shower doors was bad, and the floor got soaked every time we used the shower. (4)I contacted Kauai Exclusive Mgmt with questions before leaving for Kauai, and was given outright incorrect info which turned out to be a huge inconvenience (e.g., was given the wrong ph. # in the unit which created all kinds of problems for family trying to contact us, and was told there was no snorkel gear or beach gear in the room – there were lots of both – and so we brought our own from home unnecessarily). Overall we were very happy with the unit and resort, and would stay there again in a heartbeat. We love this property we have been there 3 times and just booked our 4th trip there. (1) The resort is beautiful. A great deal of effort goes into maintaining the grounds, & it shows. (2) The pool is awesome, especially for kids. 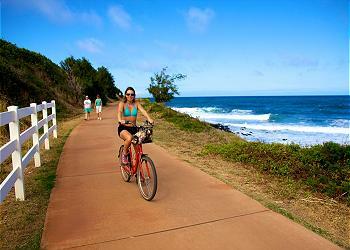 (3) Kapa'a is probably the best place on Kauai from which to explore the whole island. It was a huge convenience being across the street from a major shopping complex. (4) H202 is very nicely furnished. It has a full working kitchen with lots of cookware and great appliances, as well as a washer & dryer. Also, we had a great view of the beach/ocean from our lanai & we ate most of our stay-in meals (except when it was raining) on the lanai. (5) Staff were generally friendly & helpful. (1) Unit cleanliness upon arrival. The fridge/freezer hadn't been cleaned thoroughly. We found peanuts under the bed in one bedroom, and candy wrappers and a soiled toddler outfit (!) behind the bed in the other bedroom. (2) There were three phones in our unit and they never all worked at the same time. (3) Before our arrival I asked Kauai Exclusive Mgmt if there were beach toys and/or snorkel gear in the unit, to which the response was no. There was tons of snorkel gear in one of the guest bedroom closets (we brought our own, unnecessarily). I also asked for the ph # in H202 & they gave us the wrong # so for the entire stay whenever family tried to call us they got a "not in service" message. It was only after we left Kauai that we discovered the # we were given was wrong. (4) The rubber seal under one of the showers didn't work, which left the bathmat & tile floor soaked every time we used the shower. (5) The pool staff can be a bit militant about kids using toys in the pool area. We had some diving toys (for my daughter) that fit in my swimsuit pocket. When one of the pool staff saw them, she said we weren't allowed to use them. We had been using them for days up to that point, but she wouldn't budge. 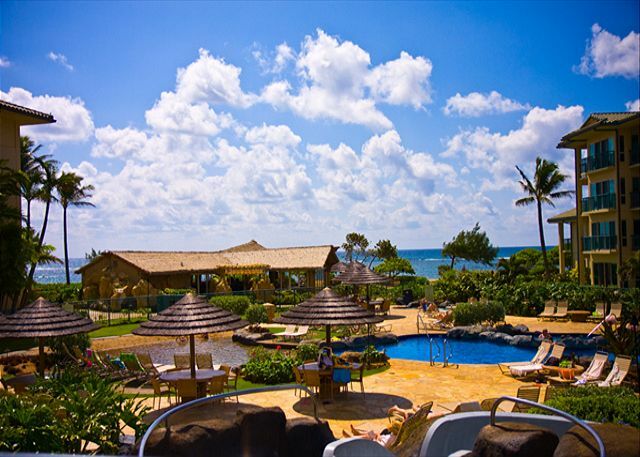 Waipouli Beach Resort is an invitation for fun and relaxation. We had an amazing view of both the ocean and the lovely well-maintained gardens and pool area of the resort. The living area was warm and inviting. We definitely will return for another fantastic stay at this resort. Stayed for 12 days and had a great time in this condo. Location within complex is great --Direct view to beach. We had 3 adults and 4 kids (7, 5, 22 mo, and 8 mo) and they loved, loved, loved the pool. I did feel bad for the honeymooners. Tons of kids around and not really a good spot for a romantic getaway. Liked being in kapaa, lots right there and with the exception of top of waimea canyon nothing took more than an hour to drive to. Waipouli Beach Resort is what you called "Paradise" this place is so beautiful!! 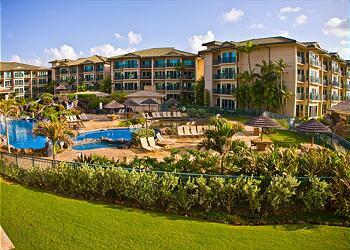 Spent one week at this resort in Kauai. Was looking for a good value for a two couple adult trip. 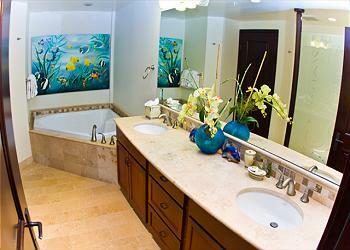 The property is in a convenient, beachfront setting placing you in the middle of the island's many attractions. 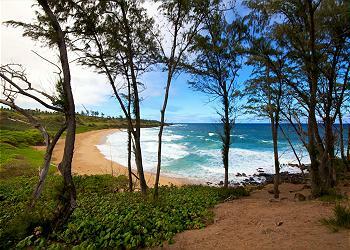 The beach area is rocky and not suited for swimming, however many of Kauai's beaches are this way. The property itself had wonderful amenities including a very nice pool with hot tubs, a beachfront restaurant, and a fitness center. We enjoyed the ability to cook when we wanted and dine out as desired. I would highly recommend this property. 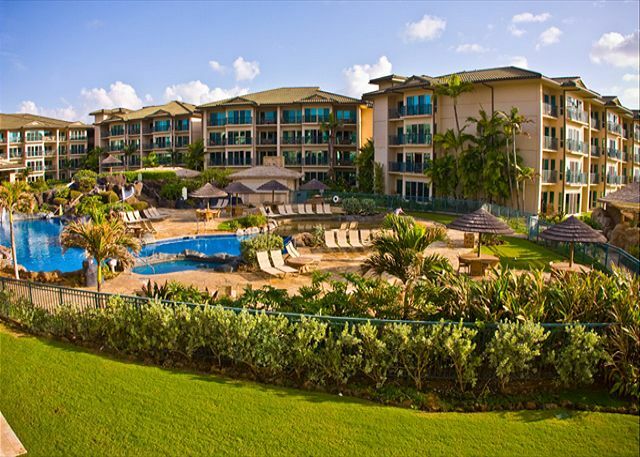 My family spent Christmas and New Year at this fine resort and yes, I would recommend it as well as our leasing contact Josh Rudinoff. There are a few items I think should be noted about our specific unit, which was perfectly located on the second floor near the ocean. The unit is physically tired. The dishwashers are in very poor shape, the lighting is lacking, the dishes are a mongrel mix, the coffee maker so low cost it doesn't have an auto turnoff, etc. We were charged three hundred dollars dot three mid week cleanings, and there was little evidence any cleaning was really done. All that said, we had a great time, and Josh was ever pleasant and ready to help. We would go there again. We ended up having to switch resorts due to some unfortunate circumstances when we arrived in Kaua'i, but from the minute I spoke with Josh about our situation, he had us taken care of, and placed in a beautiful condo at Waipouli! The condo was beautiful- and had nice ammenities. Gorgeous views, and it was really nice being right across the street from the grocery store! 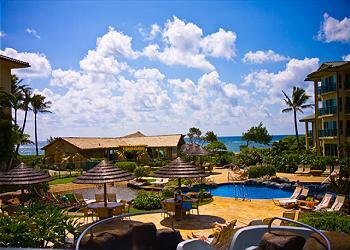 All-in-all, Waipouli Beach Resort far exceeded our expectations, and we can't wait to return! The property was well maintained and the condo was a perfect choice. 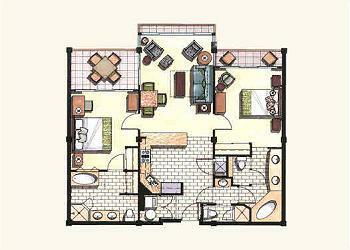 Awesome view, great amenities, high quality furnishings and very comfortable living space. The location was perfect - centrally located on the island, walking distance to grocery, restaurants and shops. Josh was very accomodating. 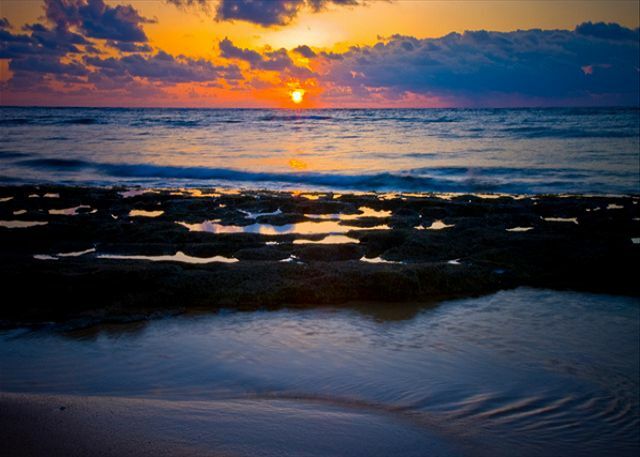 Kauai is a little piece of paradise and made for a fabulous family vacation!!! Can't wait to come back! Our family had the best vacation at this little slice of Paradise. The ammentities were top notch. We took advantage of the BBQ grills as much as possible. The appliances were brand new and worked flawlessly. My family is looking forward to returning ASAP! Thanks Walter and Linda for the perfect vacation rental! Josh thanks for the graet hospitality! Location: Awesome view, peaceful, centrally located and very clean. Customer service was excellent - prompt reply to queries, very informative about the unit. Everything was wonderful and I will recommend staying here to all my friends. Beautiful place for a wedding and reception at the Oasis. We spend Mother's day weekend and had an awesome time. The H202 unit was clean, homey and beautiful. It's furnished and equipped with everything you need to feel like you're at home! We didn't want to go back home after staying there....LOL! This property provided us with a wonderful vacation home. It was extremely clean and had many personal effects left there that we were able to enjoy such as books, local music CD's and DVD's. It had top notch appliances and comfortable living and sleeping rooms. Having grocery and drug stores nearby as well as restaurants made it a very convenient location. We thoroughly enjoyed our stay here and will highly recommend it to others. Very nice condo unit. Tasteful furnishings, and high end finishes. The balcony facing the ocean was very nice. The location is very convenient to shopping and dining. The central location offers easy access to either end of the island. While not a secluded location, the resort still seems private enough. 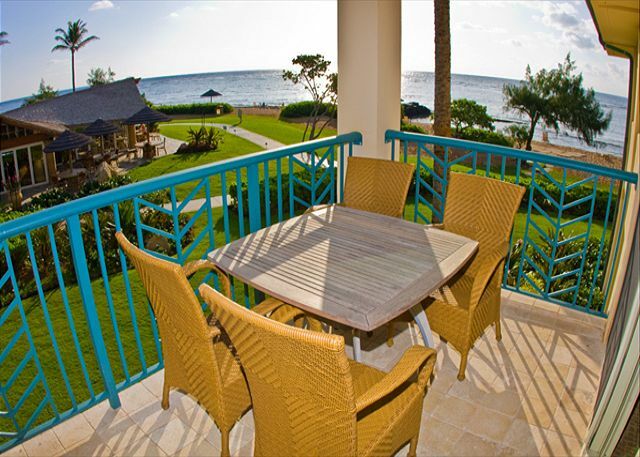 The property has a nice pool area, and a relaxed beachside bar with good though limited dining options. The beach is nice and sandy, though swimming is limited by a rocky reef just offshore. We enjoyed our stay. 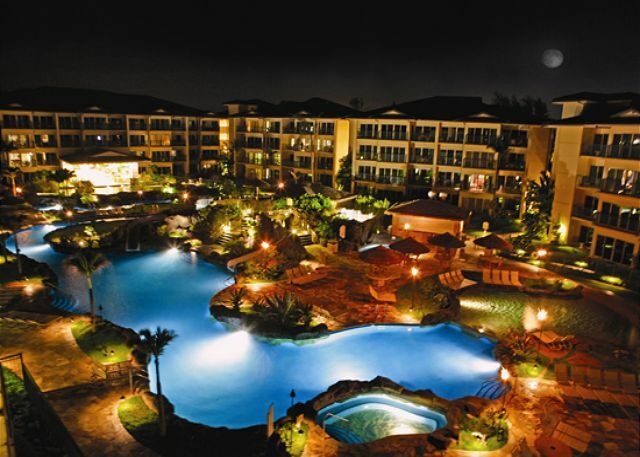 A great resort for families with children of all ages. I have never seen such a well designed swimming pool. There is a lazy river to float down, waterfalls with caves, slides and even a little "beach" for the shovel and bucket sunhat wearing little kids. I wish this place had been built when my kids were little. The kitchens are outfitted with high end appliances and lots of cookware and gadgets. Convenient location on the beach and across the street from Safeway, Long's Drug's and Starbucks and a short drive from the airport. A beachside walking path is just two blocks away. We are very satisfied with our stay in the resort, we've experienced the true meaning of paradise!! this place ROCKS!!!!! We really enjoyed our stay,property was beautiful, location was awesome the only issue was the fifth person in our party slept on the pull out couch and it was terrible (a good quality air mattress would have made a big difference). This property was perfect for 4 people. Would recommend to any group or family as a central location on Kauai. We loved our visit to Waipouli Beach Resort, our unit, H202, was incredible, had everything we needed. We started every day on the lanai, watching the sun rise and the whales in the distance. We definitely plan to return. The place was fantastic, high quality and fully equipped. The management company exceeded our expectations and gave us both early check-in and very late check out. We would highly recommend this unit to others. Delightful stay. Lovely accomodations. Would recommend it, and would/will return again. 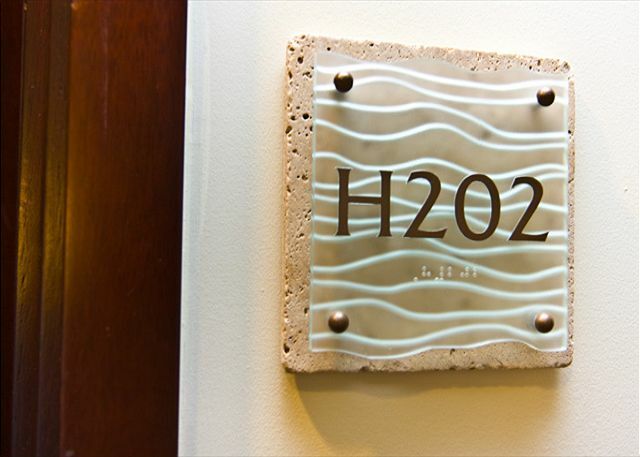 Our family loved our experience at the Waipouli, H202. Exceptional amenities, friendly staff. We will definitely return. After you stay for one week you want to stay longer or you will try come back again. H202 contributed to a great stay. Would have been helpful to know in advance that the unit had snorkel gear as we brought our own, but overall a very nice unit. Pool and ocean views were great. Brita water filter was a nice touch as well. 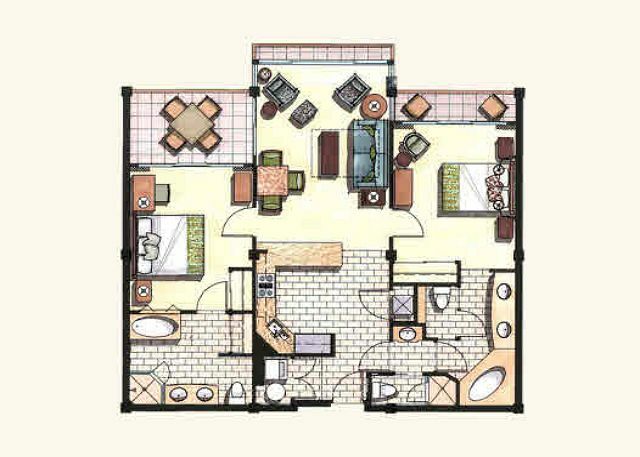 Central location of complex is great for overall isalnd enjoyment as well. Would definately recommend this unit in particular. We enjoyed our stay at Waipouli. 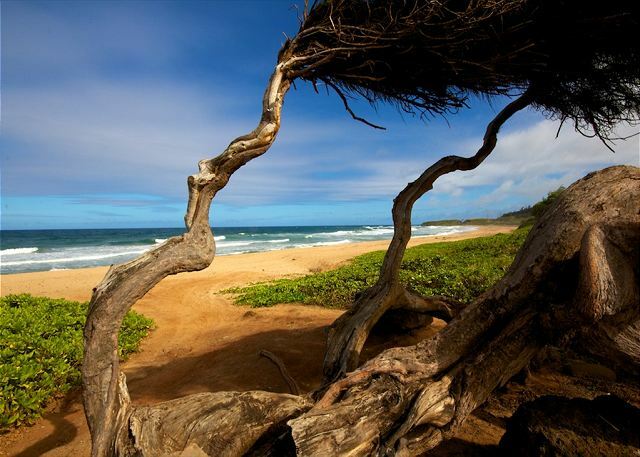 The beach is soso and kind of rough for small children, but many beaches in Kauai are, and I think you would be hard pressed to find a resort in a bay with a beach that is protected from the winds. Waipouli was so conveniently located that you could drive to any of the famous family beaches in minutes. The resort was clean and nicely manicured. We would go back, and I highly recommend this resort. Oh, and if you shop for groceries, avoid Safeway and Foodland across the street, venture out toward Kapaa about 1 mile from the resort to Cost U Less, it really does cost you less and has a much better selection of fresh produce. Finally, the restaurant on-site, I think it was called Oasis, is really good. It was always so empty so we avoided it until the last day, and came in at happy hour. We were pleasantly surprised by the tapas and happy hour prices. Enjoy your trip! Aloha, this was outstanding in every way: location, condition, management, weather, and Hawaii itself were perfect. A great vacation for everyone from sixty three to sixteen months. Josh is an excellent manager. Simply one of the best I've run across. Mahalo, Josh, you really went above and beyond. Mahalo nui loa Kauai Exclusive Management. We just returned from our Christmas in Hawaii vacation and can't stop telling everyone what an amazing resort the Waipouli was. From the breathtaking views, fabulous pool, beach and the perfect H202 unit, it was the most relaxing vacation we have ever had as a family. Our chidlren ages 9 and 12 tld us they wished they didn't have to go home and asked if they could move there. If anyone reading this is looking for a perfect place to vacation, this is the place to go, for families, couples, retired etc. You will not be disappointed. THis is a beautiful well run property perfect for honeymooners or families with kids. Location of H202 is perfect, private with a great view. Waipouli is a beautiful resort and we really enjoyed our stay. The unit is very nicely appointed and is a great ocean front location. We were able to leave our lanai doors open all nite and sleep to the sounds of the surf. On arrival it was very apparent that the housekeeping hadnt been properly done or completed. Supplies were missing etc. Josh was very responsive to addressing our concerns. He was a wonderful host and loaned us folding beach chairs so we could comfortably spend time at other beaches on the island. Mahalo!!! 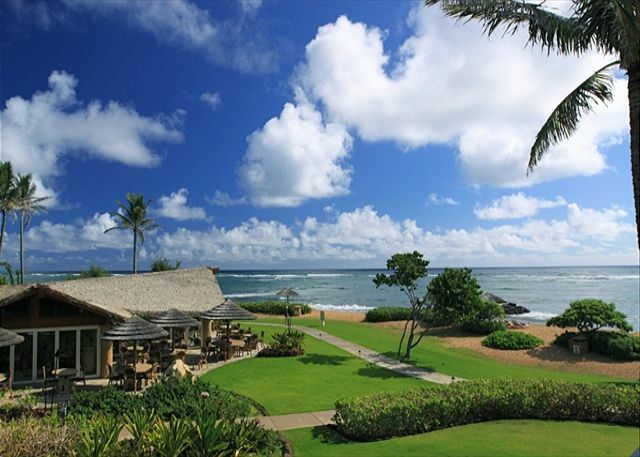 This IS the place to stay on Kauai; centrally located near all amenities. 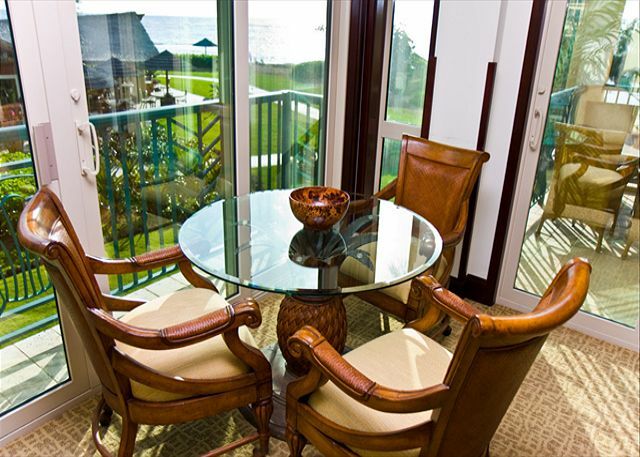 Our best day was: Get up in the morning, sit out on the lanai and enjoy the ocean front view and eastern tradewinds that kept us cool all the time. We then walked 20 steps to a semi-secluded beach; spent an hour there and watched as a monk seal joined us nearby for a little R&R. Then a few more steps to the incredible pool, followed by a few steps to the wonderful OASIS, where we had a superb lunch. Vacations just don't get better than this! We had a great time as usual. We will be using your services next time we visit. We loved staying at Waipouli, it was perfect for our family . We were sad the restaurant and spa were closed but would come back again! Loved it! A good reading light would be wonderful, living room or bedside. Otherwise, perfect! The resort is beautiful & in a great location. The management staff couldn't have been more helpful. A great place to stay especially if you have children of any age. Staying at Waipouli was Great! It's the ideal place for a family to relax and enjoy everything that the facility has to offer. 2) Spent about a half hour trying to connect to "Waipouli Beach Resort" wireless network, without success. Laptop would actually connect to that network, but would never get an IP address, DNS settings, etc. But was ultimately successful connecting the wireless network named "ResNet" or something like that. I suggest that the welcome sheets indicate what wireless network to use to save some aggravation for other guests. 3)Lighting was suboptimal. One of the floor lamps in the living room area didn't work, or at least we couldn't figure out how to make it work. In general the interior lighting was somewhat dim and limited - would suggest some brighter bulbs in a few spots. 4) Middle front burner on the range top didn't seem to work. We were able to use the other burners for our needs. It might have just been us, but this is something that should be checked out. None of these issues impacted our enjoyment of our stay at WBR. We had a great time and just mention this for future improvements. Our stay in H202 was better than anticipated. I loved the location and view of the ocean. We had a wonderful time and our next visit can not happen soon enough! Josh was very helpful and professional - loved PoPo's cookies. 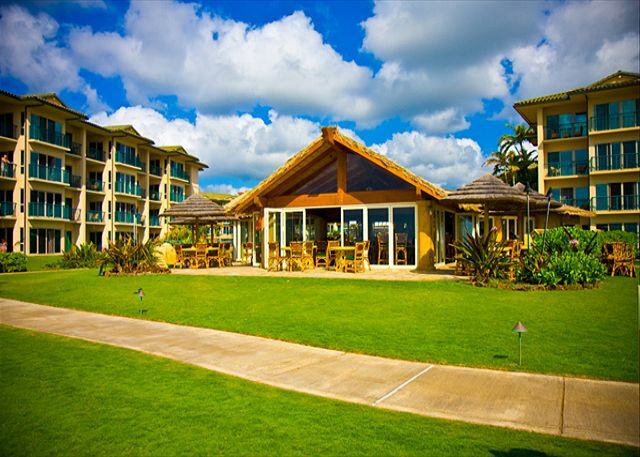 The Waipouli Resort is lovely and the location is perfect. This is a great unit. The Room location looks over the pool and has a great view of the ocean from the rooms and lanai. The place was clean and well appointed with everything we needed to cook. We have a 1 year old and the lanais are infant friendly and safe. Josh, was very friendly, easy to work with, available and accommodating. The pool and bar were great fun. The only complaint we had was the noise from the bar was a little loud a couple nights and this was over by 10pm... for most people this wouldn't be a problem but with an infant going to bed at 8-9 it was a minor inconvenience. All in all... really a perfect place. Overall, we had a great stay at Waipouli H202. While the beach isn't really swimmable (though my son might disagree), the pool was great and rarely crowded. Also, the proximity to shops and restaurants was great as was the ease of getting to either the north shore or the south shore (we traveled 3 times to each shore -- about 30-45 minutes depending on where you're going). One thing about the accommodations -- despite what the listing says, only one bedroom has a king bed; the other is a queen (+ a queen pull-out sofa). Josh was very helpful with choosing our condo location, as well answering any questions we had. Great condo, good location and Josh was very helpful.